Avinash Khandelwal from Ghaziabad, B.Sc Graduate. Post : Handling All IT Infrastructure, Servers, Hardware, Software And Manpower. 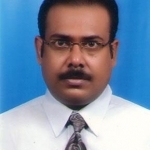 NEARLY 14.5 YEARS OF.. SYSTEMS ADMINISTRAT.. TECHNICAL AND NETWO..
are one of expert skill area's of Avinash Khandelwal . Avinash Khandelwal is working in IT Software industry.